This entry was posted in Art and tagged Art, bucket, challenge, funny, I painted this, ice bucket challenge, illustration, my art, snake, watercolor. Bookmark the permalink. 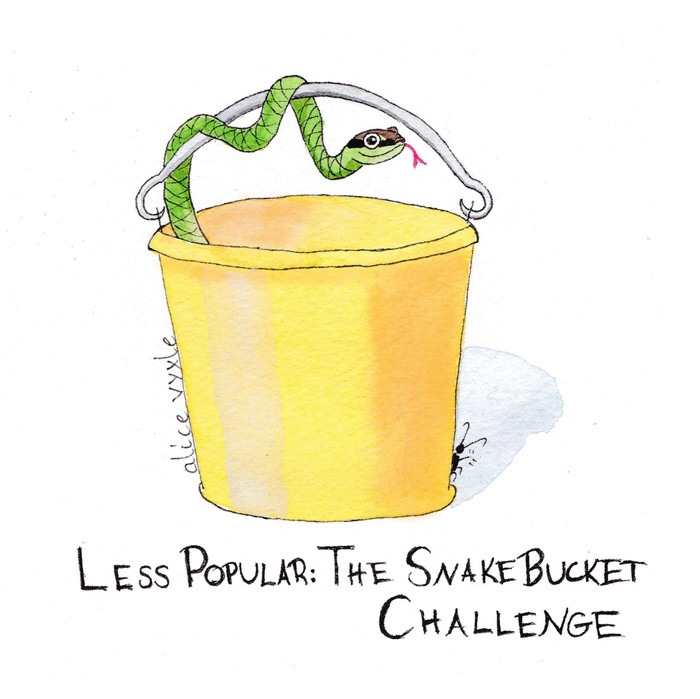 1 Response to Today’s watercolor: The Snake Bucket Challenge!